Great for a family get away or a weekend trip for groups of friends. Rex has created the perfect oasis just outside of downtown LV. Close to everything but not TOO close to everything, this is a place that you won’t want to leave. Rex is great to deal with, and the home is amazing and well put together. We will be back! The location of this property was fantastic. Close to the strip but far enough away to be quiet. There were plenty of things to do at this house if you didn’t want to do the typical Vegas stuff. We really loved the pool table and the 90” tv in the living room. The backyard was amazing. We loved the hot tub. It was too cold to use the pool but it would be great in the summer. Overall we had a really great time. The reason we only gave it 4 stars and not 5 was because of the cleanliness of the place. Don’t know where the $150 cleaning fee was used. There was actually old coffee and grounds in the coffee pot when we got there. The toaster was full of crumbs and so was the silverware tray. We kept finding little things from previous guests around like Bobbie pins and hair ties. The furniture was dirty. We covered the furniture with towels to sit on it. The shower drain in the guest house was full of hair and toilet paper. There were dirty sheets on the floor of the laundry room. The sheets on the bed seemed clean luckily. The garage was a complete mess. All the cleaning supplies were just thrown around and there were old soda cups and cans just cluttering up the counters in the garage. The owner showed up a couple of hours before checkout and said he needed to start washing towels. We told him we were still using them and we would throw them in the wash for him. All the issues aside the house was comfortable after we did a little cleaning. This house really needs a professional deep clean to be a 5 star property. It has so much to offer. If you can overlook the unclean parts of this house I would recommend it. Relaxing and fun Vegas experience. Mostly a ‘party house’ with speakers and flat screens in every location! Close to the strip and shopping. The pool was great- much more relaxing than staying at a Hotel. Rex was great to work with. 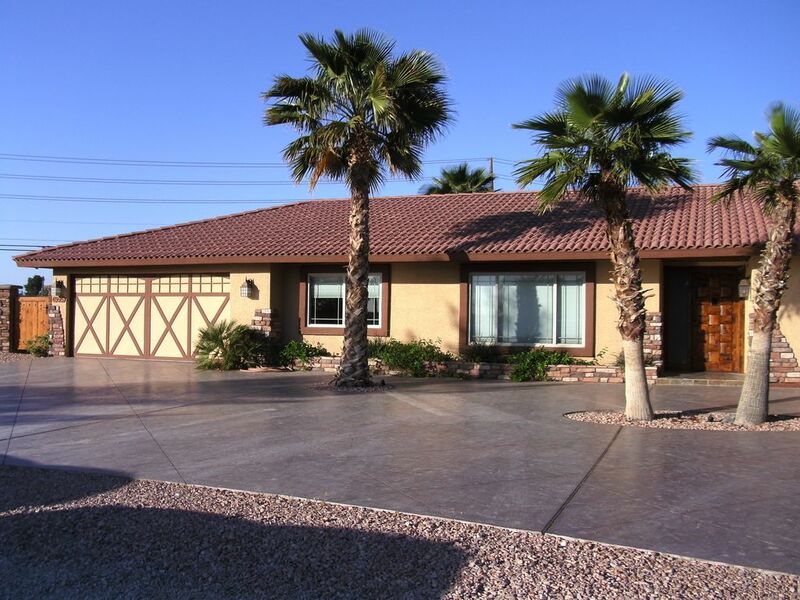 We highly recommend this house if you are planning a stay in Vegas. The outdoor space is exceptional. Unfortunately we did not get to enjoy it as much as we would have liked due to the cold temperatures, but I can only imagine how wonderful it would be under more moderate temperatures. The beds are very comfortable and the kitchen is well-equipped. Rex was very friendly and met us at the house upon our arrival to give us a good orientation of the house. Since returning home, I have recommended this house to many of our friends.